Deptford Cinema in alliance with Arrow films present: Arrow Video Club! Arrow Video Club seasons will showcase cutting edge movies from across a dizzying range of genres, nations and eras: westerns, gangster films, new arthouse hits, digitally restored classics, and a few forgotten gems. All films will come from the catalogue of one of the most prestigious British film labels! Volker Schlöndorff’s masterpiece took home the Cannes Palme d’Or and the Best Foreign Film Oscar in 1975, having been adapted from one of the major works of postwar German literature. 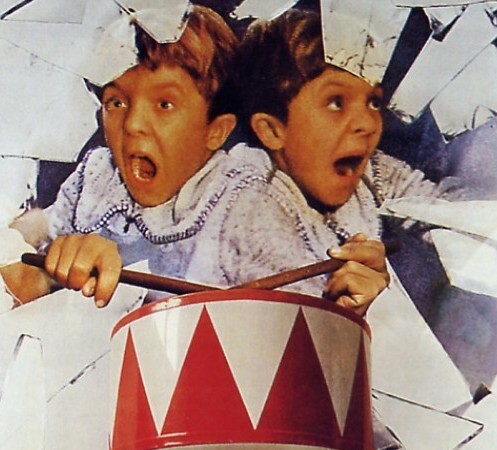 When Oskar Matzerath (David Bennent) receives a tin drum for his third birthday, he vows to stop growing, and thus retains a permanent child’s-eye perspective on the rise of Nazism in his native Danzig. With the help of Luis Buñuel’s favourite screenwriter Jean-Claude Carrière, Schlöndorff turns Günter Grass’s magical-realist masterpiece into a frenzy of bizarre, grotesque yet unnervingly compelling images as Oskar turns his increasingly jaded eye and caustic tongue on the insane follies of the adult world.